Steve Reeves Might Be The Old School Bodybuilder But His Training Innovations Will Never Be Forgotten! Maybe Arnold Schwarzenegger was the king of the classic bodybuilding era. But there are many great old school superstars. Steeve Reves is definitively a name to remember. Reeves’s is one of the most inspirational and creative bodybuilders the sports had ever seen. He was the man who holds the greatest physique of all time. Steve Reeves won the 1947 Mr. America contest. But he was also rewarded by the role of Hercules in the Italian movie Hercules back in 1958. The movie was later broadcasted in the USA. If you read Greek mythology, Hercules is known for supreme strength and brutal muscle definition. At that time, getting this role was one of the biggest confessions you could make! 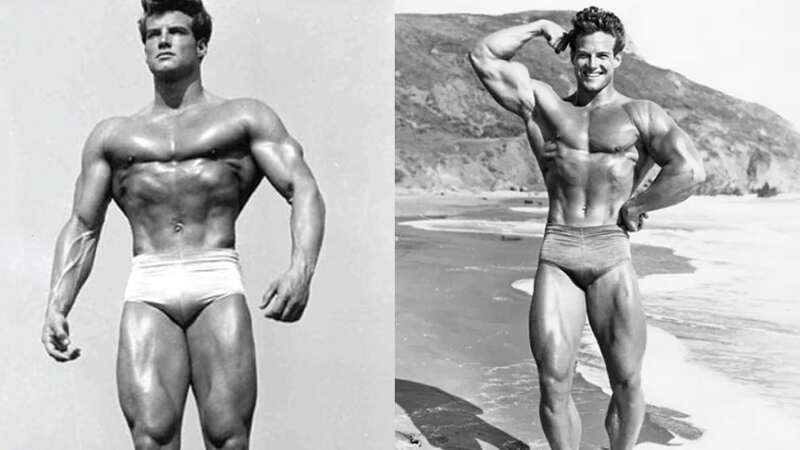 Steve Reeves competed in the era when steroids weren’t available. It means cheating was reduced to least. Even today, his physique is the icon for many bodybuilders. You will hardly find a classic bodybuilder with such level of symmetry between upper and lower body strength like Reeves. Welcome to the world of Steve Reeves’ training rules. Just to inform you, these lovely rules are available thanks to John Grimek, Reeves’ training partner and lifting legend. He has described Reeves’ training habits to the slightest detail. Even during the classic era, Steve Reeves was aware that doing the same training routines over and over stops your progress. He had the special training machines made for T-bar rows, curls, and even seated rows! He was the pioneer of thinking about the weak part of your body. Every good bodybuilder might learn something from this. Remember how Roelly Winklaar performs his lateral raise. You need to be different if you want to add some championship dimensions to your muscles! High volume training is nothing new. Most bodybuilders load big weights and show their skills in the gym. But Steve Reeves was the first guy who tried to do a bit more every single time. For example, if he performed six repetitions with 50 kilograms one day, he would have looked for seventh repetition next time. He had three types of improvements – more repetitions, more sets, or more exercises. 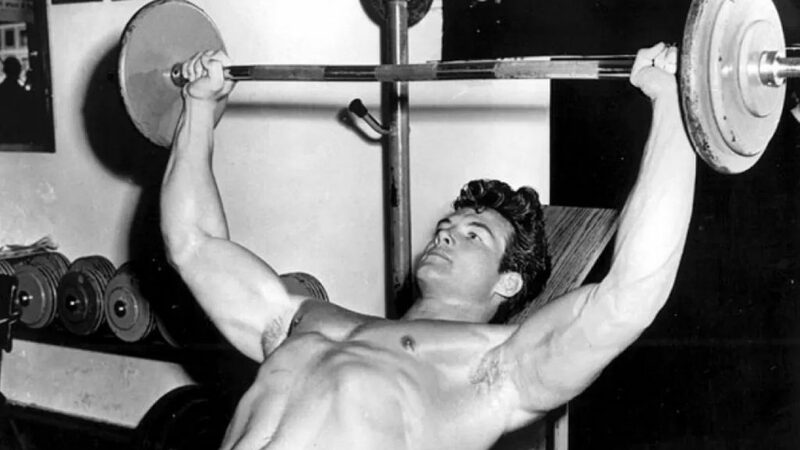 Steve Reeves didn’t base his training sessions on compound movements. His main goal was aesthetic physique. So he is one of the first bodybuilders who applied the principle of “intensifiers” – “drop sets and supersets”. That is the reason why his training sessions were hard as hell! Intensifiers are an outstanding way to push your body to its greatest limits! You can’t do an exercise and think about something different. If you aren’t 100% focused, your progress will be slower. Distraction is something you must stay away from. You need to activate your mind. 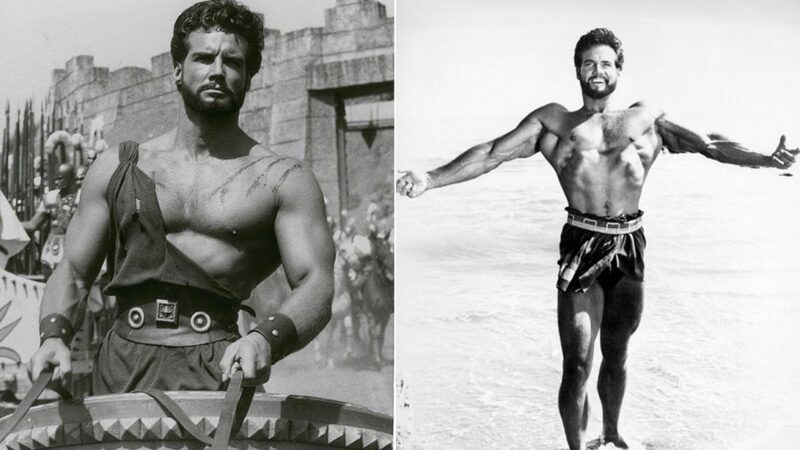 Steve Reeves had an easier job – there were no smartphones at that age. But he didn’t let anybody interferes with his training sessions. If something would happen around him, he would ignore it! For example, Reeves mostly didn’t even sit between the sets, he was thinking about his next exercise. The main reason Steve was one of the greatest bodybuilders of his time was his constant drive for success. He never sits idle, was always try to focus on how to be better. 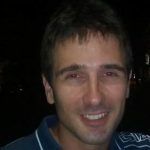 You need a perfect technique to avoid injury. But good bodybuilder should combine amazing techniques with the greatest dedication. It is hard, but not impossible. If you don’t push your body hard enough, muscle growth won’t happen. Also, when your technique is irregular, you might hit wrong muscle groups. Finding a balance between these two might sometimes be nuclear science. But give your body a chance, get to know it! Steve Reeves was one of the first bodybuilders known for putting everything they had into every repetition. But he was also having one-in-million genetics, which was very important at that time. He was an innovative guy who has never lost his faith. Reeves’ muscle shape and flow might have been gifts at that age. But he tried hard to achieve it. He was ready all the time to accept any advice. He didn’t afraid of trying new things out. His levels of creativity were amazing. Every bodybuilder should follow at least one of Reeves’ principles. It can successfully lead to a world-class astonishing body and victories in big competitions.